If you are interested in monetizing your site and to be able to offer your readers a bargain on fun, interesting and useful products, then you should sign up with Broadcast Bloggers! Broadcast Bloggers offers daily deals that you can share with your readers and earn a commission on. This is a great time to join with the holidays coming up. I know that I will be doing most of my shopping online this year and will be on the lookout for great deals. Broadcast Bloggers is open to blogs internationally. Most of their deals are US only, but they do have Canadian deals. In fact, they told me they would try to get their deals open to Canada whenever possible! Their dashboard (aka Back Office) is very user friendly so you can see when a sale has been made and the balance in your account. When you wish to be paid, you just need to request the money and it’s instantly sent over to your Paypal account. I also like that it’s easy to post their deals. They send you an email whenever a new deal has been added. Then you login to your Back Office and grab your direct affiliate link for your post. They even provide you with the pictures. You will see how much commission you will make on each deal. Sound interesting? 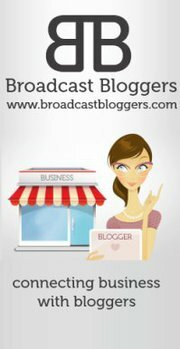 Sign up for Broadcast Bloggers today and start sharing the deals with your readers! I signed up for this today through your link. Unfortunately I am not getting it to work like the info page says it should. When I click on a job title there is no button at the bottom for me to accept that job. And there is no search engine like the info page says there should be. I e-mailed them but have not heard back yet. Any tips or ideas would be great! There\’s no button to accept the job- you just grab the link thats there and post. Okay, well then they need to take that off their How to page because that is what it says to do. http://www.broadcastbloggers.com/howto-blogger.php This page right here. I joined too. Thanks Stacie! I joined a while ago and never really caught on to what they were trying to do – thanks for refreshing my memory about their company, I need to check them out again!